On Tuesday we had our monthly Roanoke MQG meeting. 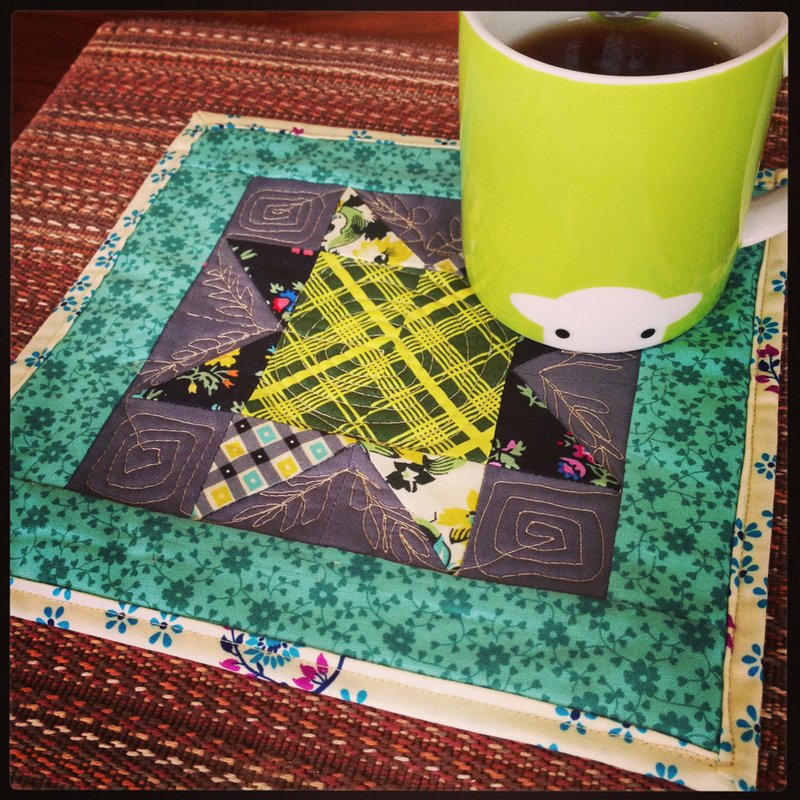 We had decided last month that it would be fun to do a little mug rug swap. I had seen a few different quilts/mini quilts that used black quilting thread almost as if they had “drawn” the shapes on the quilt. Like an outline, I guess. So I decided to try it out! Hedgie!! And bunting!! I used raw edge applique and then stitched over top with the black. I used a little button for the nose too, just because. I should have taken a picture of the back, because it was grey plaid. I thought it worked well with the dots. 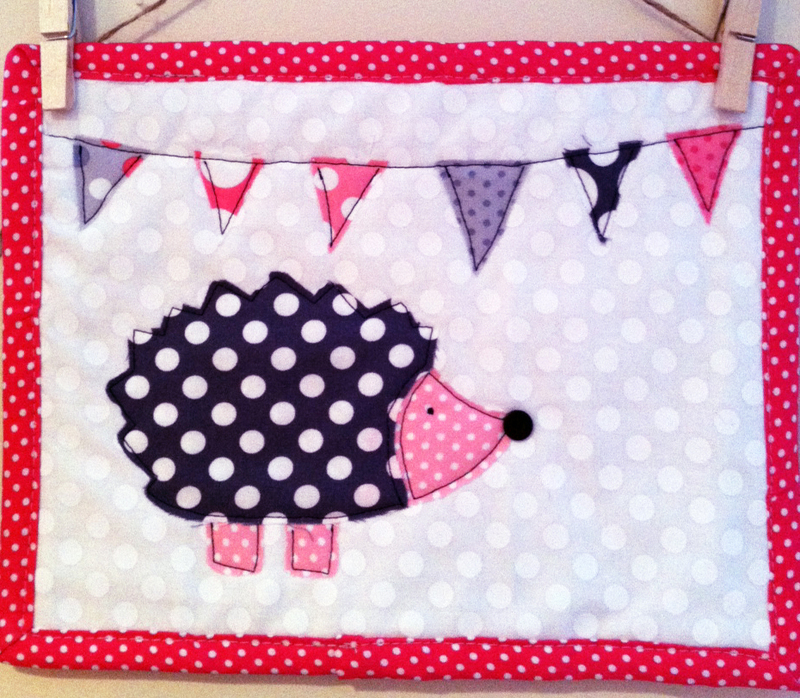 She used a couple of different Denyse Schmidt lines and then tried out her free motion quilting with her new Bernina. I love it! It is a perfect match both to my Herdy mug and my studio. It’s sitting right beside my machine for my constant cup of tea. Thanks Whit! I love how doing small projects like this is really allowing us to try out new things and develop us as quilters (and as a guild). We have a small but wonderful group and I have learned so much from them already. I can’t wait to see what we do going forward.